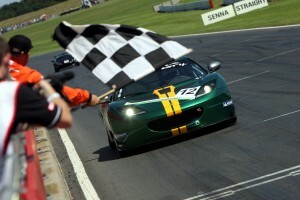 Lotus Driving Academy Chief Instructor and Former F1 driver Martin Donnelly is teaming up with Steve Williams to campaign the teams freshly built Evora GTN race car in the Lotus Cup UK in 2012. LoTRDC stalwart Steve Williams will team up with former Lotus Formula One driver Martin Donnelly in an Evora for a joint assault on the Lotus Cup UK title. Williams, whose eponymous garage business will build and prepare the car, is taking advantage of the new GTN kit offered by the Norfolk manufacturer. Starting with a road car, the package of suspension and powertrain upgrades brings the V6-powered Lotus up to full race specification. With Donnelly piloting a works-entered car to victory at Snetterton last year, the combination has huge potential, however the first Evora GTN is sure to need time to get up to full speed. 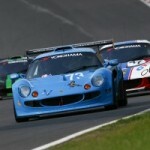 At least three more similar cars are also expected to join the grid during the year. A race win for Williams with the Evora would mean that the Lotus veteran will have won in the Production and 2-Eleven classes, as well as the former Modified class, since renamed Open. 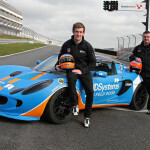 Donnelly’s pedigree is well-known; however he too has won in three categories of LoTRDC racing since his debut in the Elise Trophy’s maiden year. 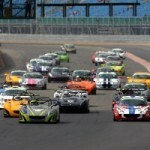 Round one of Lotus Cup UK takes place at Silverstone on Sunday 15 April, supporting the FIA Formula Two Championship. 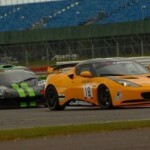 This entry was posted in LoTRDC, Motorsport and tagged Evora GTN, LoTRDC, Lotus Cup UK, Martin Donnelly, Steve Williams. Bookmark the permalink.